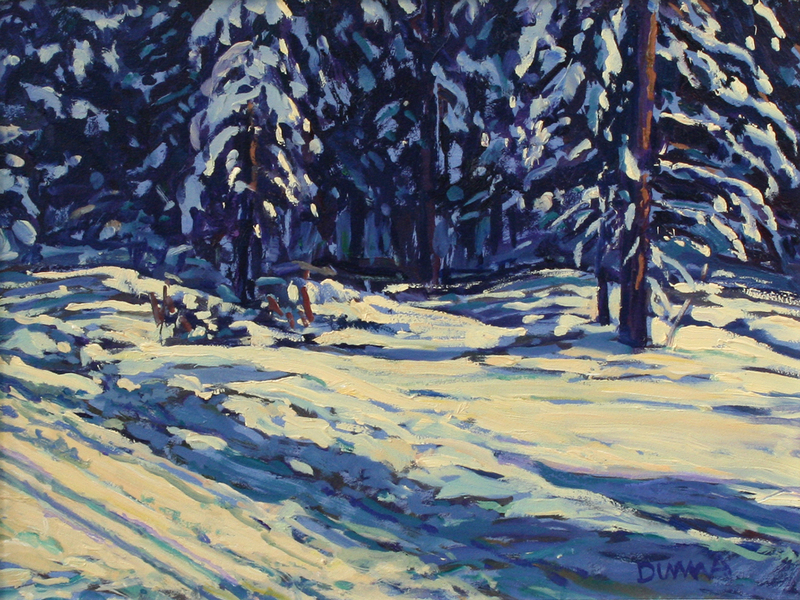 William Duma was born in Calgary, Alberta in 1936. 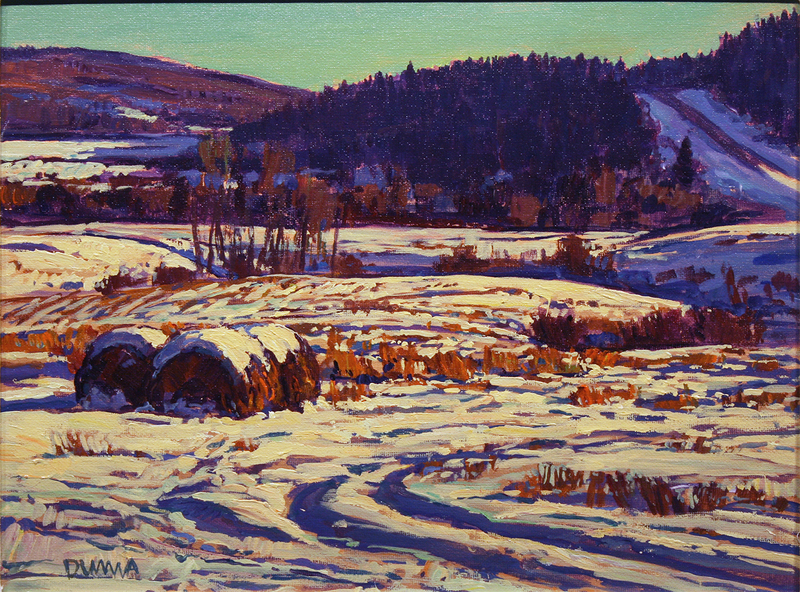 He received an “Honors Diploma” in 1962 from the Alberta College of Art. 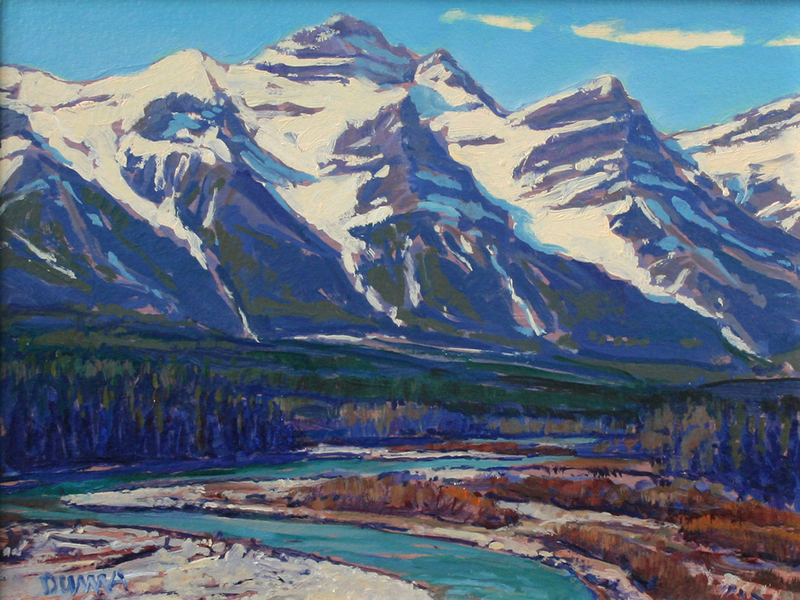 After graduating he traveled and studied for a year in Europe. 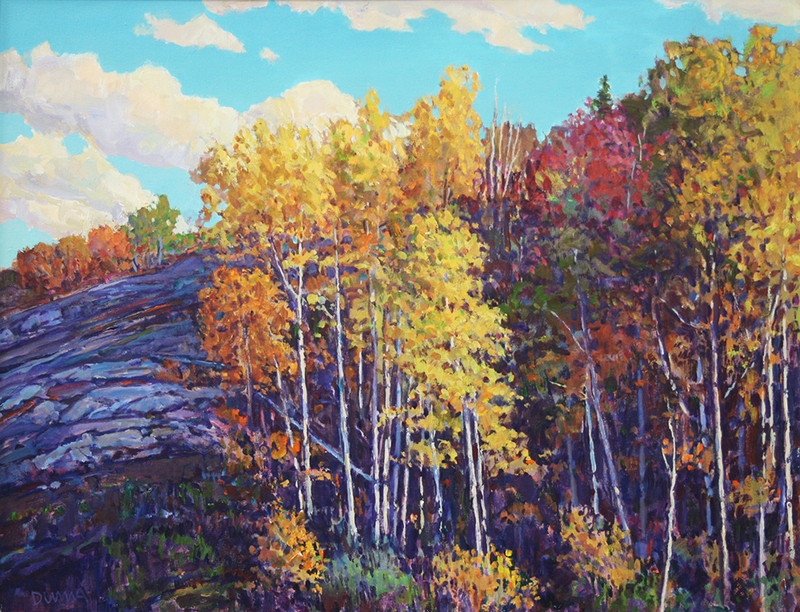 He is a member of the Alberta Society of Artists and was elected to the Royal Canadian Academy of Arts in 1995. 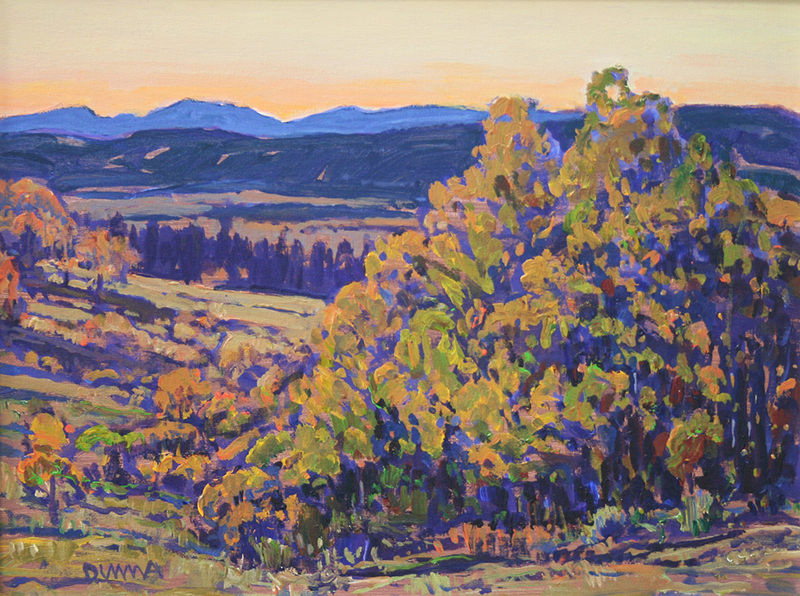 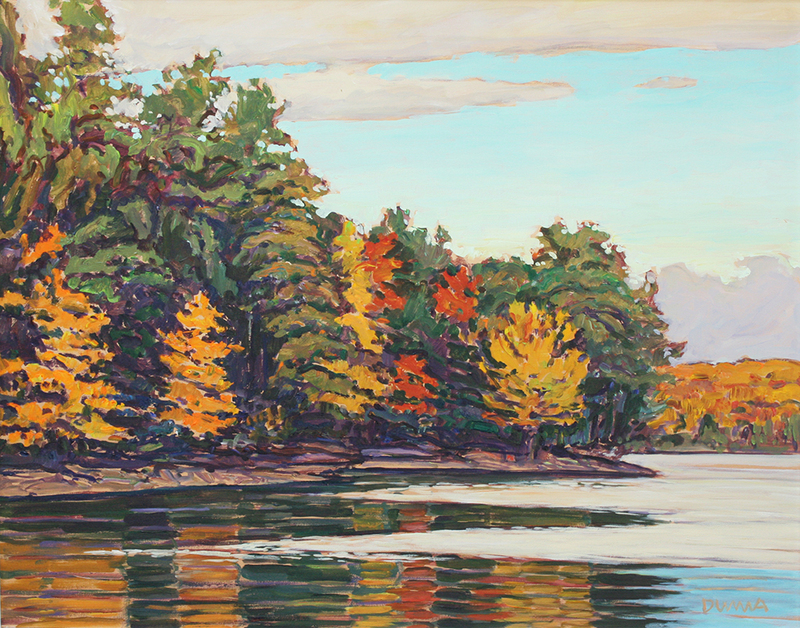 Bill is primarily a landscape painter and is noted for the quality of light, color and strength of design in his works. 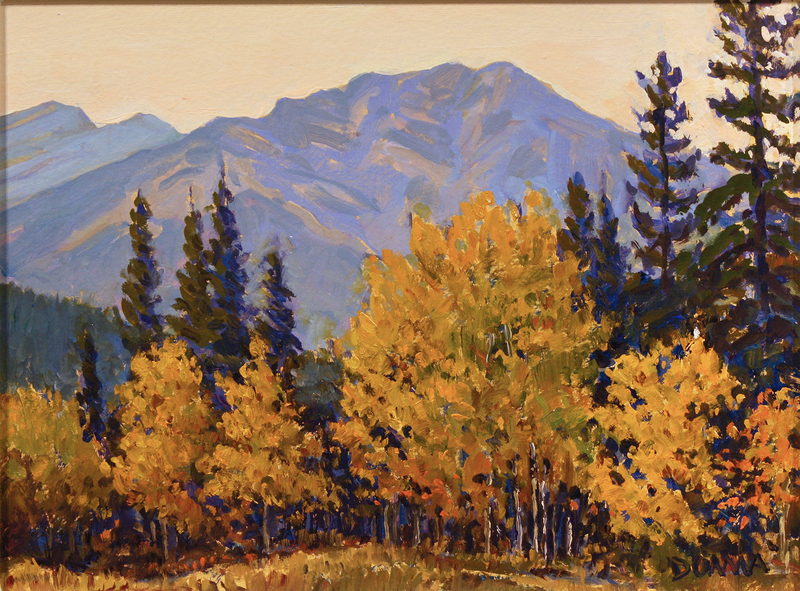 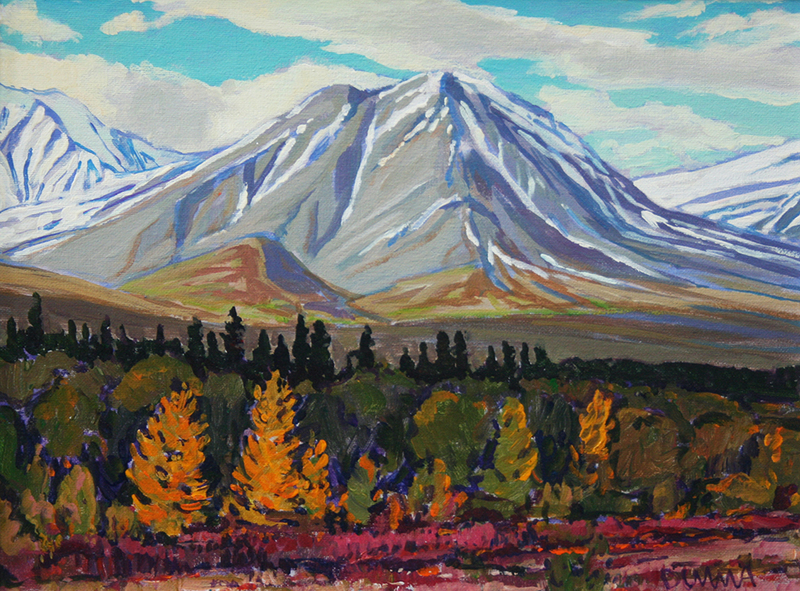 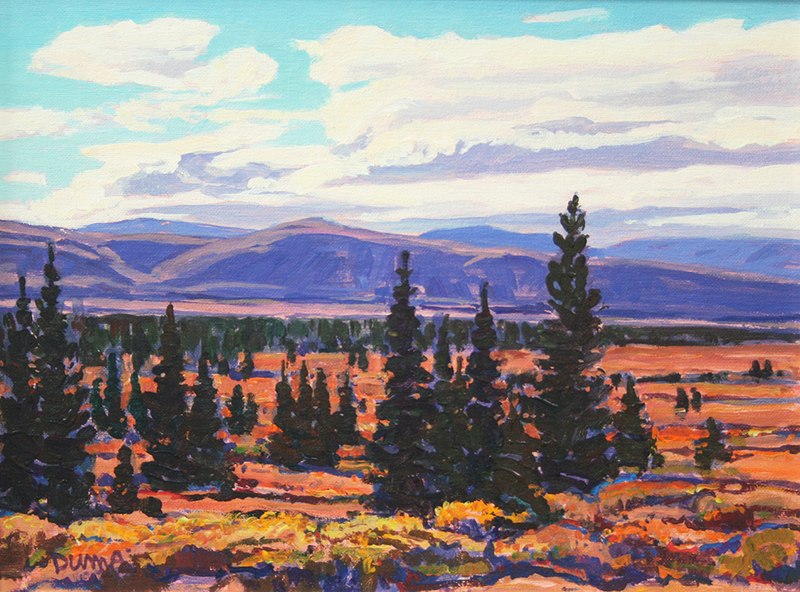 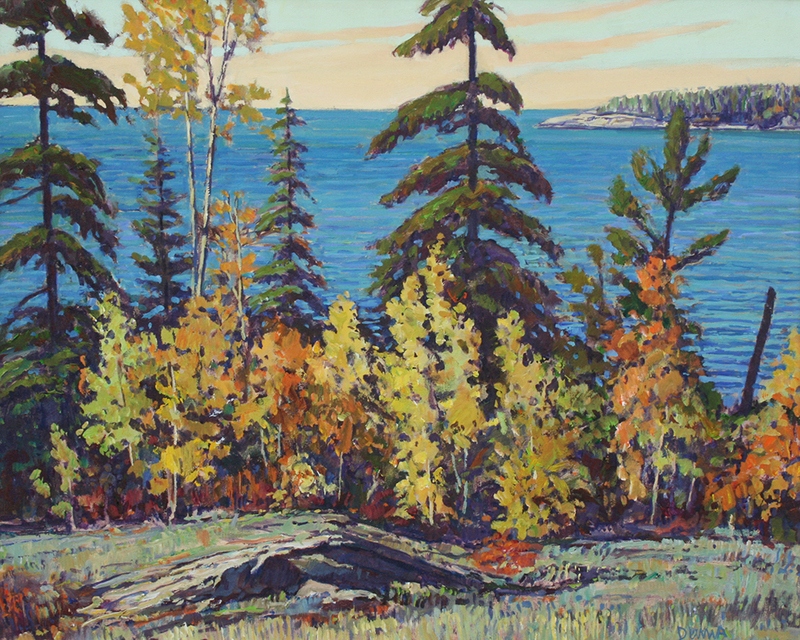 Although his main area of interest for subject matter is the Alberta landscape, he has also painted the landscapes of the Yukon, Newfoundland, Ontario and the American Southwest. 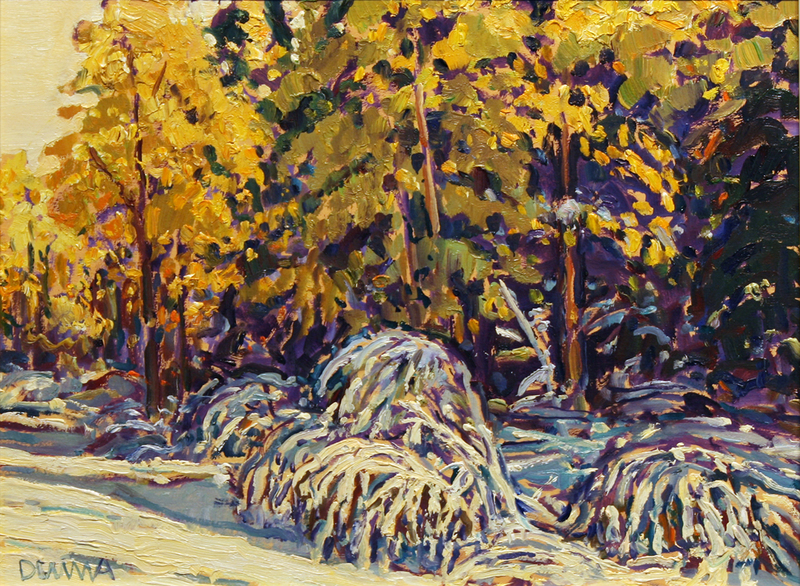 He has always been attracted to the fall and winter seasons, these themes are predominant in his work. 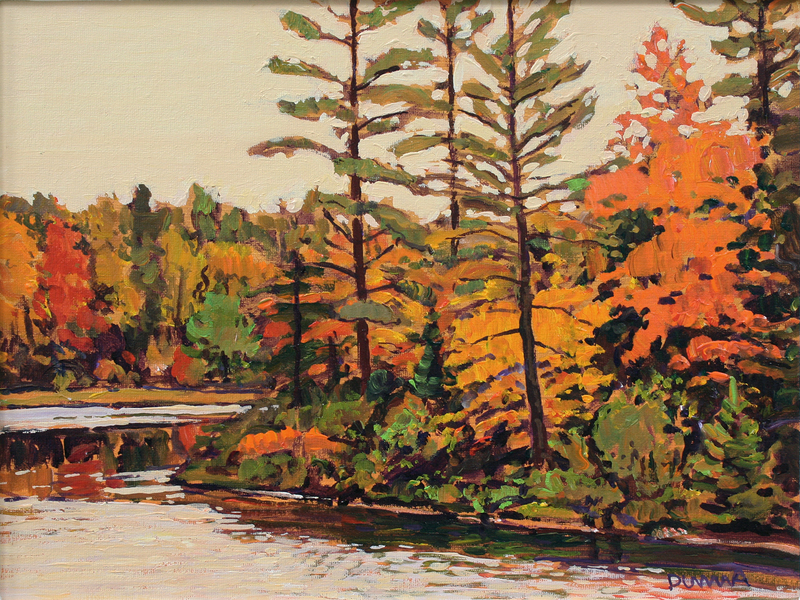 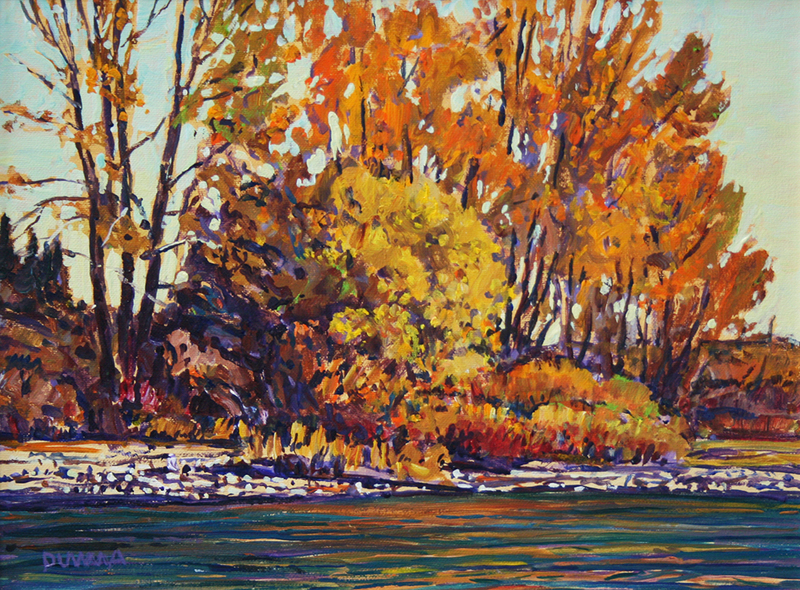 As an avid fly fisherman, rivers, lakes and streams are often a source of inspiration for summer paintings. 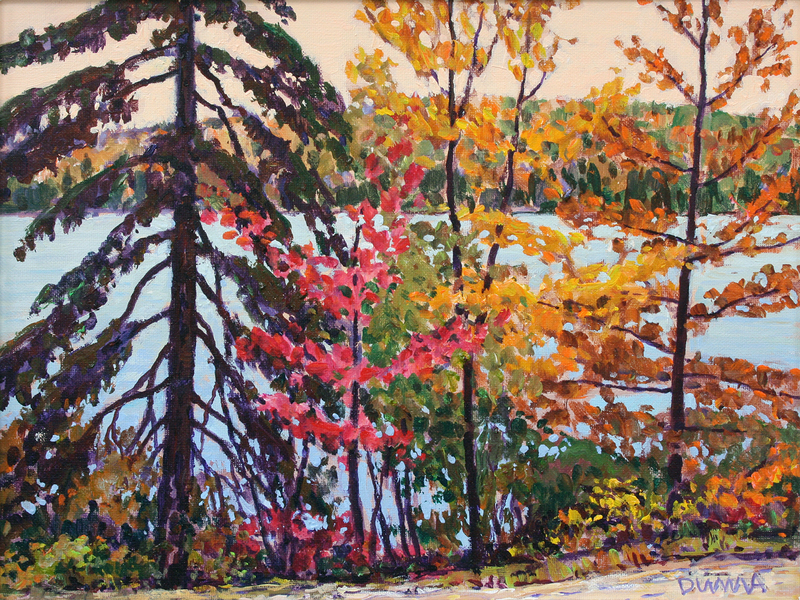 Bill is also a keen golfer and a jazz musician. 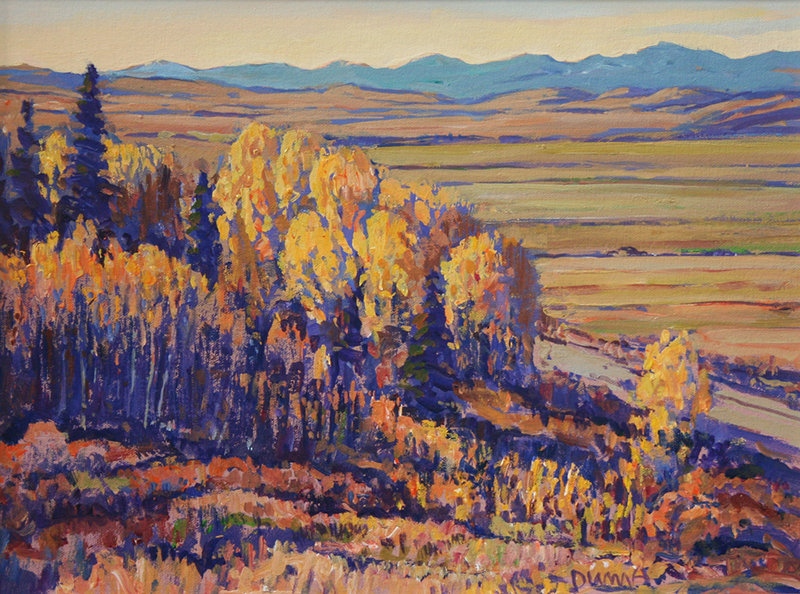 He plays an upright bass weekly with friends. 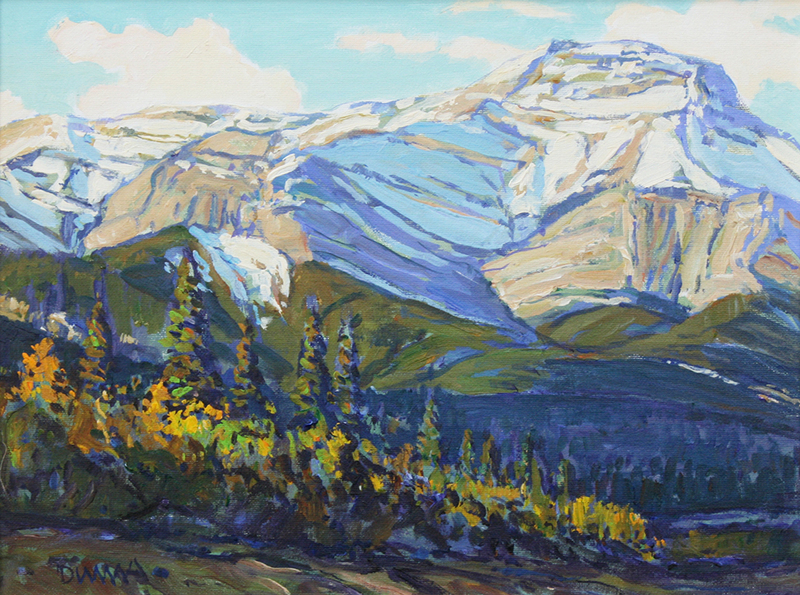 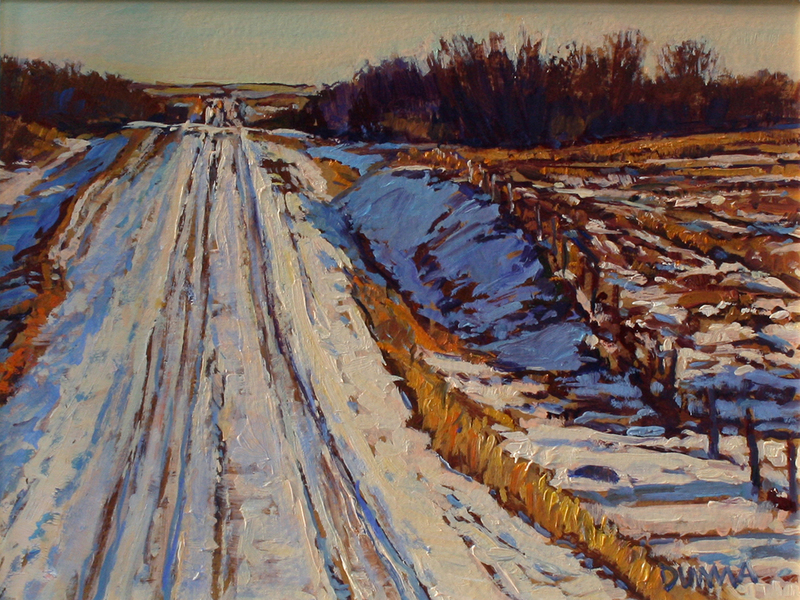 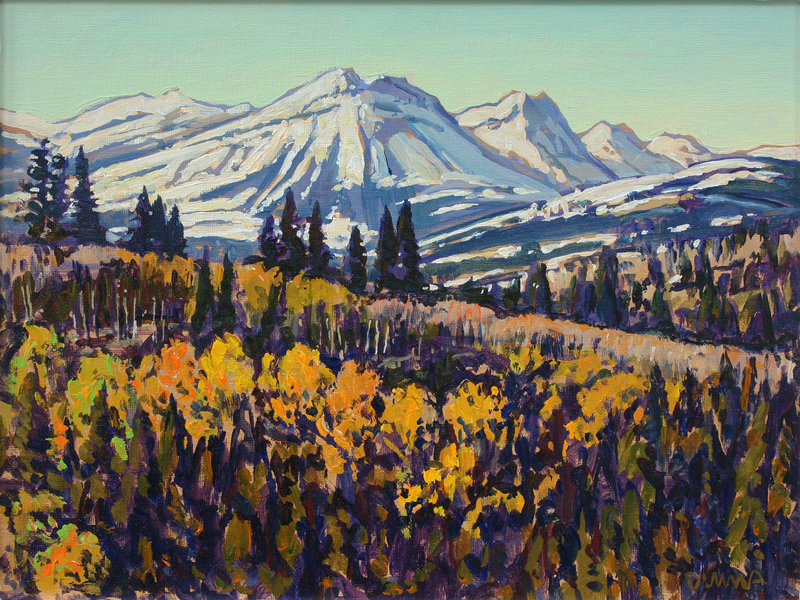 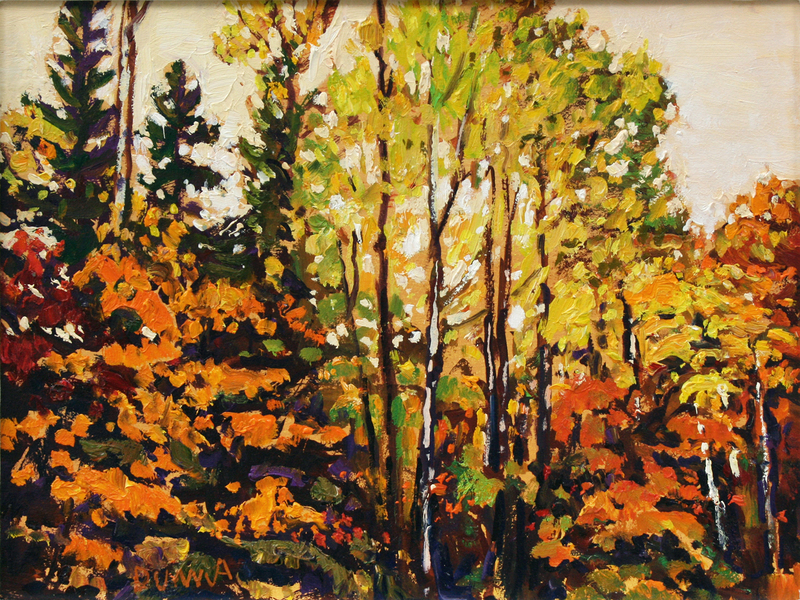 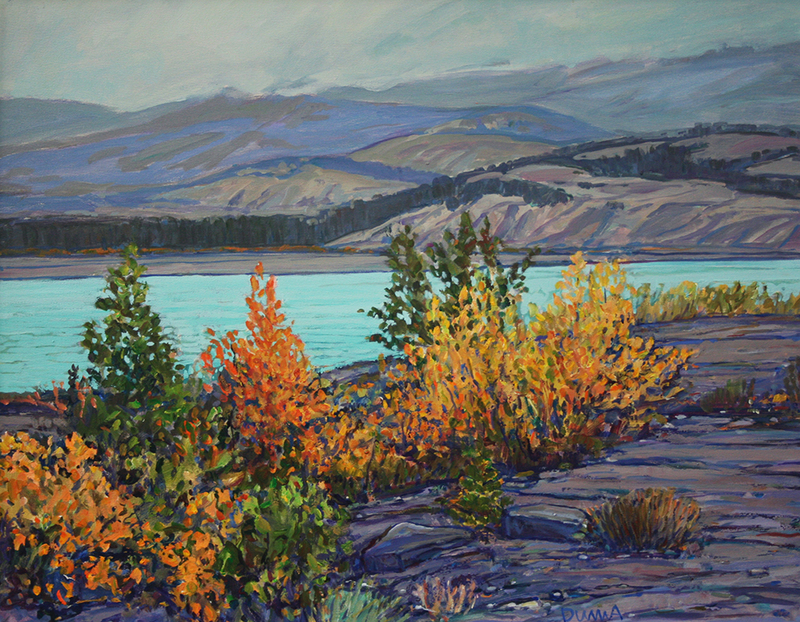 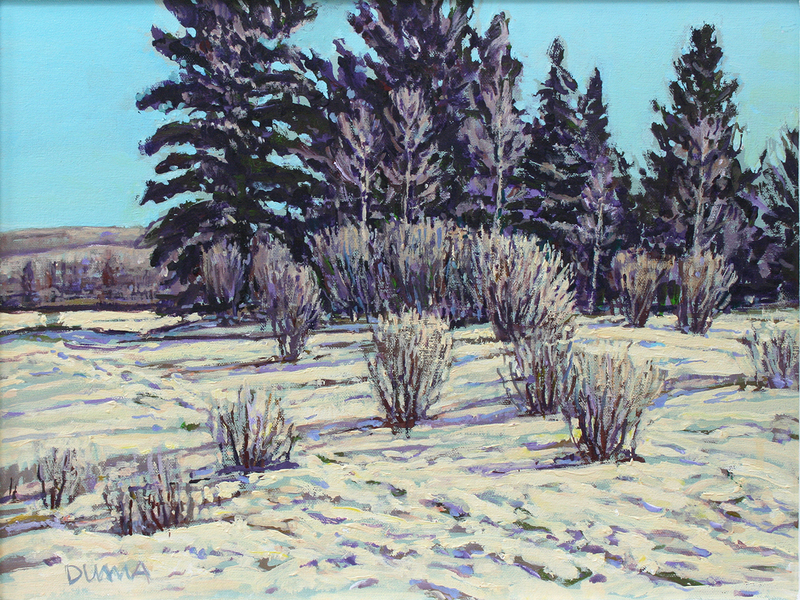 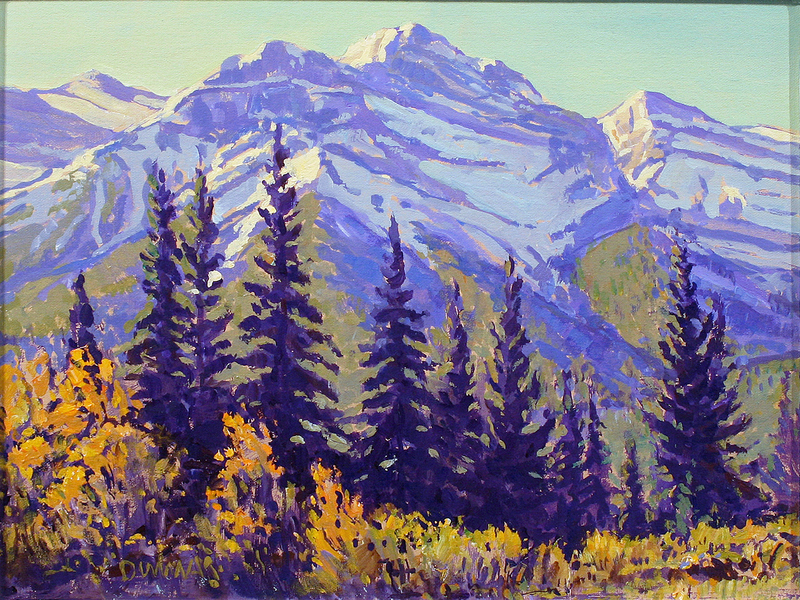 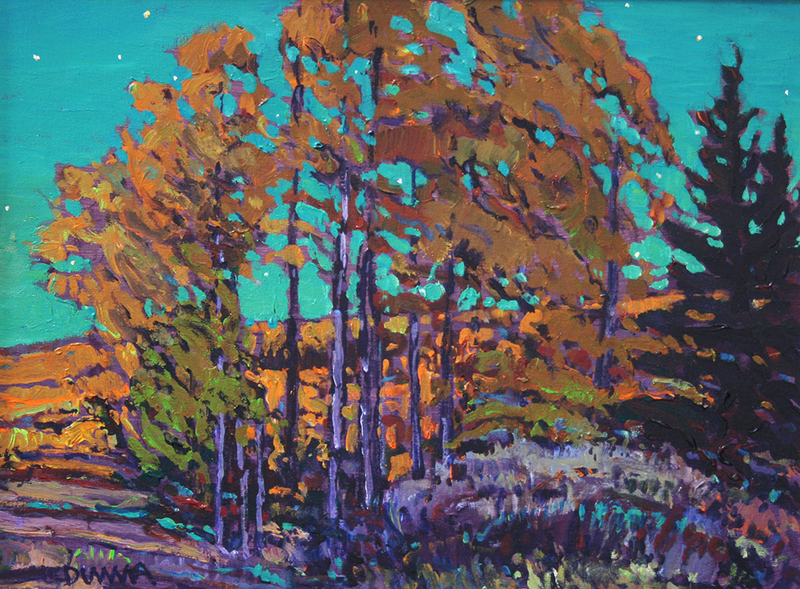 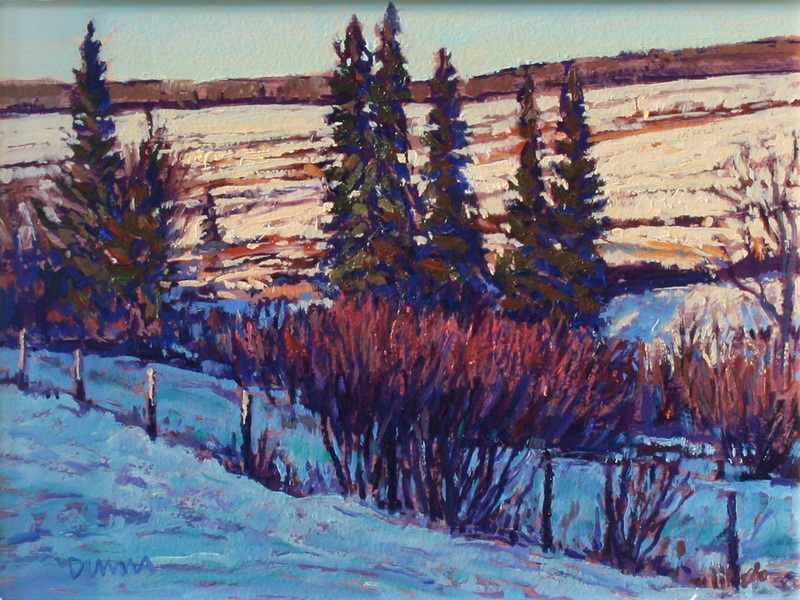 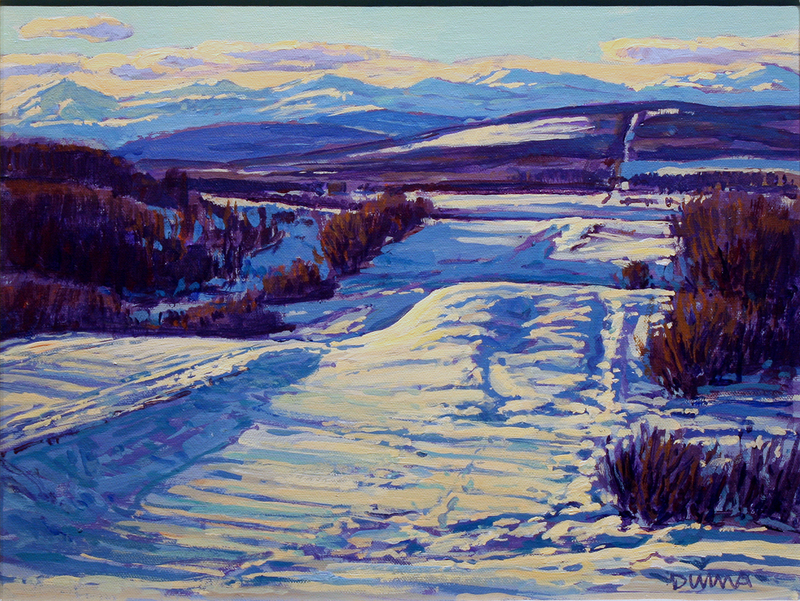 He has received a variety of awards for his painting: Medal winner and purchase award in an international Italian Show, Best of Show in the All Alberta Show, Artist of the Year and purchase award, Trout Unlimited Canada and the Alberta College of Art and Design Founder’s award of excellence. 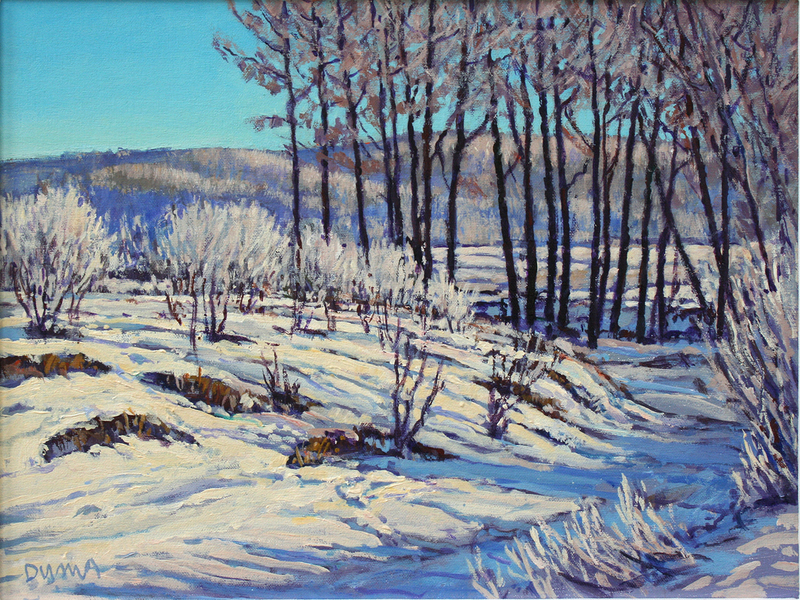 During his many years as a painter has participated in numerous one-man and group shows throughout Canada and abroad. 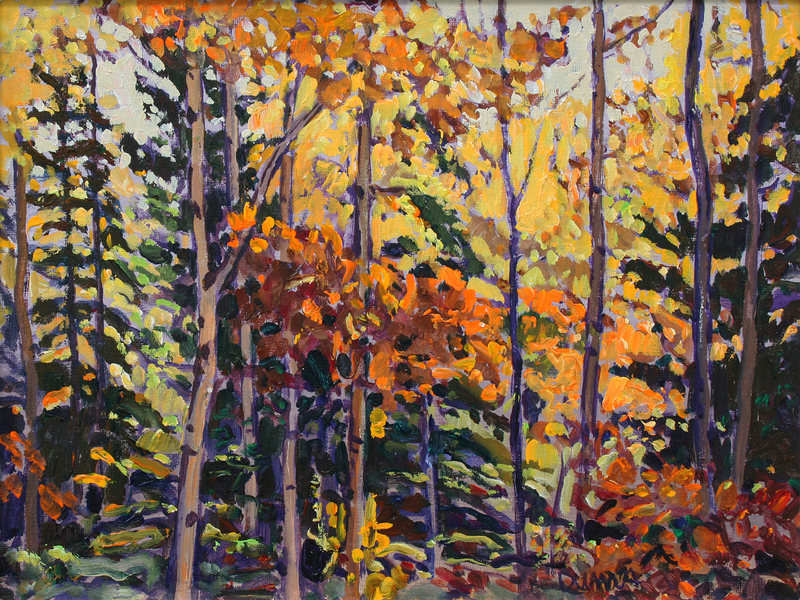 His work is represented in many major public, corporate and private collections in Canada, USA and Europe, such as the Alberta Foundation for the Arts, the Massey Foundation Ottawa, the BC Government Collection, Mendel Art Gallery Saskatoon Saskatchewan, Alberta House in England and Japan, the Nickle Arts Museum, Edmonton Art Gallery, University of Alberta and the Glenbow Museum. 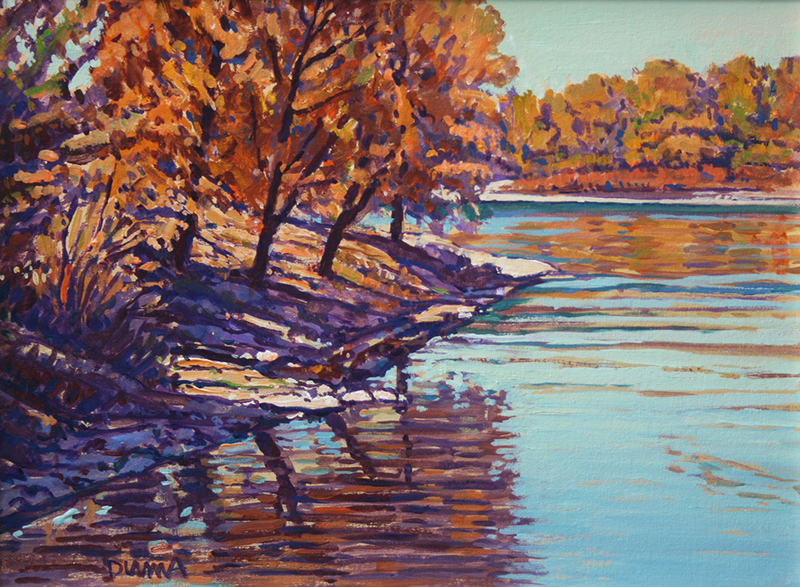 Having a love of nature and her many moods, I would like to convey this feeling in my paintings in hope that others might find the same enjoyment: but also be stimulated into looking deeper within, where intimate moments with nature cause an inner awareness and we sense the integral relationship of nature, the universe and man. 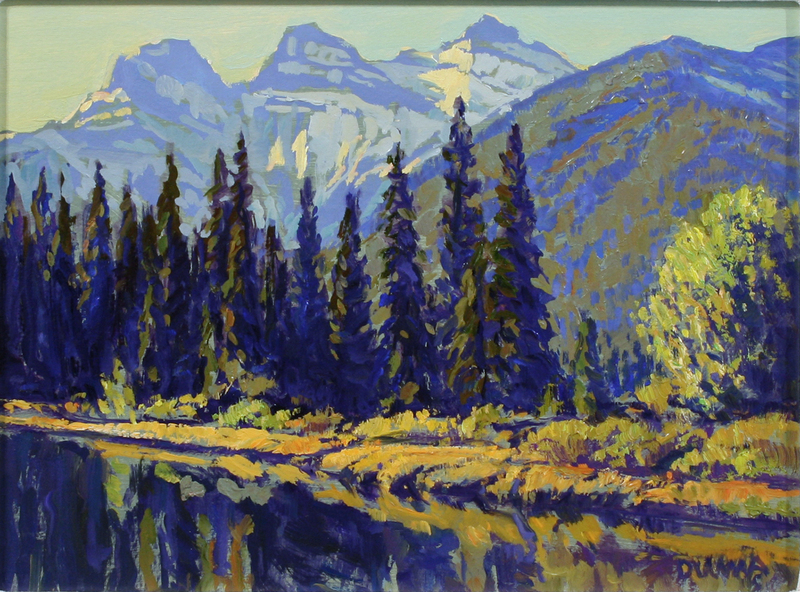 Alberta & Southern Gas Co. Ltd.